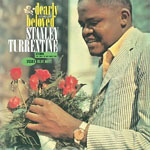 With Sugar Stanley Turrentine finally delivered on the promise of his Blue Note albums, which were for the most part unspectacular. Following the standard blueprint of the CTI label, Turrentine runs through a handful of steamy, soul jazz workouts with some veterans from the recently deceased hard bop era as well as some up-and-comers from the next generation of electric jazz. With only three tunes on the record, everyone gets plenty of room to explore and eagerly takes advantage of it. 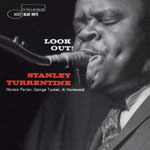 Turrentine plays in great rolling swells like ocean waves, displaying more force and vigor than usual, while Hubbard peels off solos of equal power that simmer rather than boil. Even George Benson (who sounds more like Wes Montgomery than George Benson) shows off his merits as a serious jazz guitarist with some greasy soloing. “Sunshine Alley” add a bit of funk to the mix, but the real treat here is a run through “Impressions” with everyone playing like there’s no tomorrow. This type of music was only made for a few short years and occasionally one can hear hints of the smooth jazz that was on the horizon, particularly with Benson involved. Seldom does a group of musicians click on all levels and rise into the stratosphere, but this is one such record, a relic from a time when jazz was going through growing pains but still spawning some interesting projects. 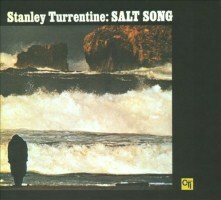 Turrentine was one of the lucky few who made his crowning achievement during this time. 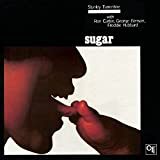 Track Listing: Sugar; Sunshine Alley; Impressions; Sugar(live). 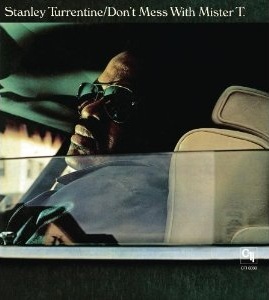 Personnel: Stanley Turrentine-tenor saxophone; Billy Kaye-drums; Butch Cornell-organ; Lonnie Liston Smith-electric piano; George Benson-guitar; Freddie Hubbard-trumpet; Ron Carter-bass; Richard "Pablo" Landrum-conga.